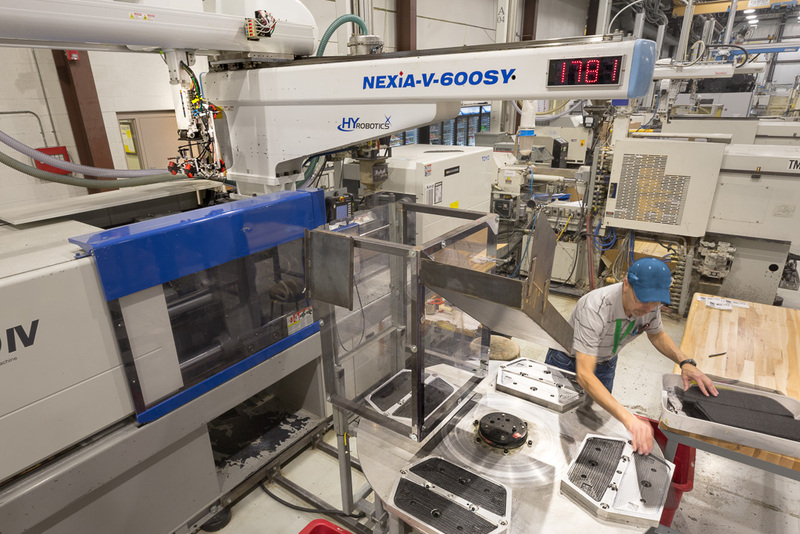 Ferguson Production continuously incorporates production technology such as Gas Assist Molding, Over Molding, and Insert Molding for the benefit of our customers. Our dedication to continuous process improvement is demonstrated by the enhancements we have made over the years. 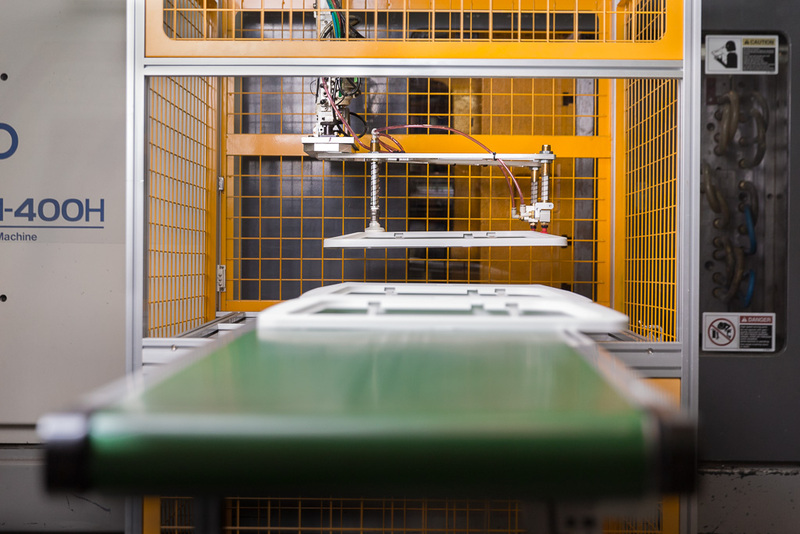 The utilization of servo robotics on many of the molding machines is one way to share the investment in automation across a broad customer base without having to automate individually. 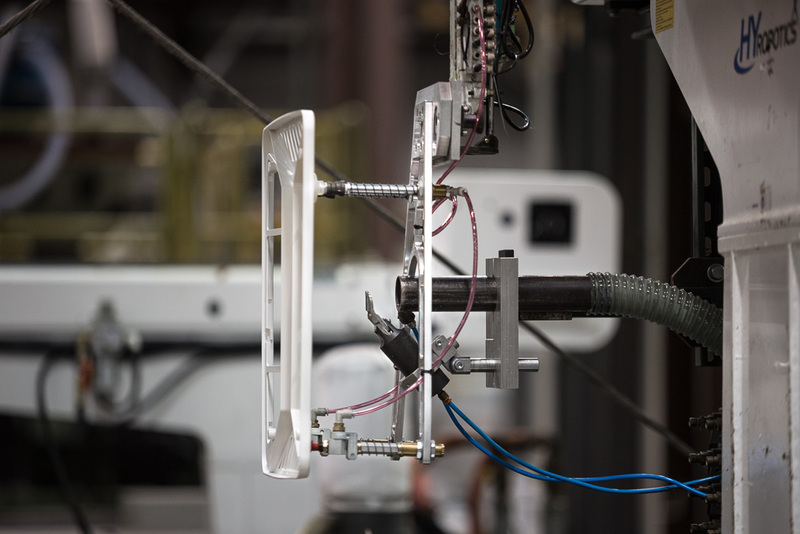 This automation, coupled with a closed loop water system and a climate controlled facility further enhances our achievement of a highly robust production process. 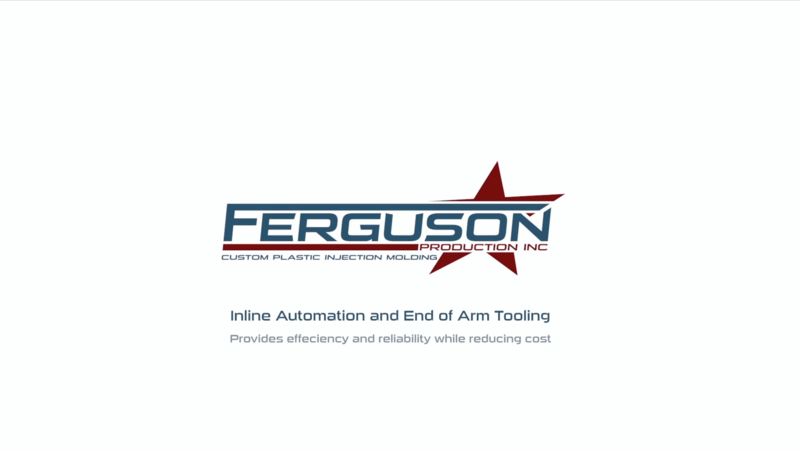 Ferguson Production, Inc. provides a wide range of assembly and sub-assembly services including hot stamping, ultrasonic welders, labeling, decorating, point-of-sale packaging, direct shipment and JIT to name just a few. 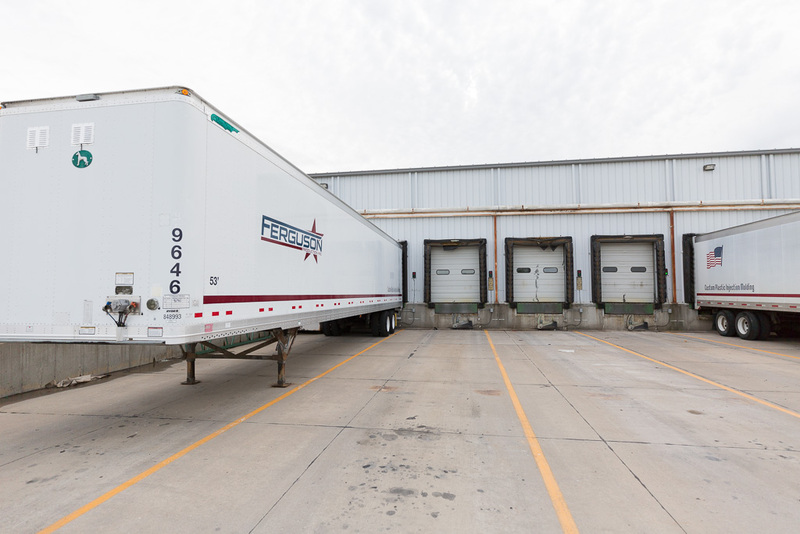 We are always willing to entertain discussion of cost reduction through handling efficiency. 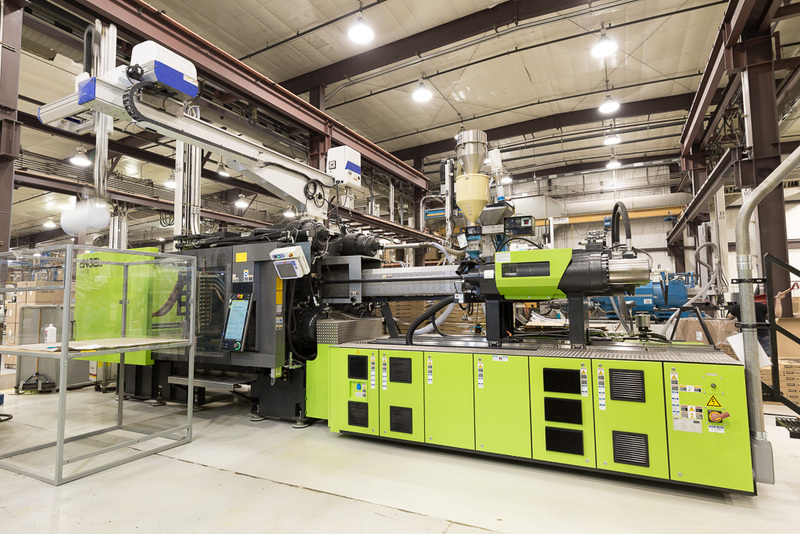 Gas assist injection molding is a complementary process to conventional injection molding in which nitrogen gas is injected into the partially molded part to displace molten plastic with a gas bubble. This process can reduce the weight and cycle time of thick parts. Two Shot Over-molding is the process of molding one resin over another. It is often used to add a soft grip over a harder substrate. Insert molding is the process of incorporating “hardware” into a molded part such as a bolt or a threaded insert. IML, also know as In Mold Labeling or Decoration, is the process of placing inserts or labels into the mold and molding plastic over the labels. © 2017 Ferguson Production Inc.